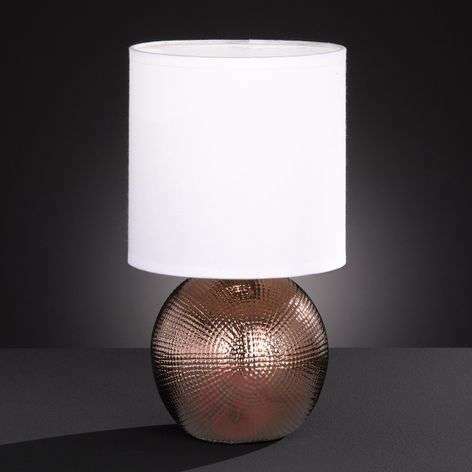 A copper-coloured ceramic base and a white fabric lampshade have been combined to form the little table lamp Foro. The 28 cm high table lamp is particularly suited for use on the bedside table, as well as in the living room, where it provides cosy light and a glossy decoration. It is operated by a switch in the power cable.